GTK+ is a multi-platform open source toolkit used to create graphical user interfaces and desktop applications. 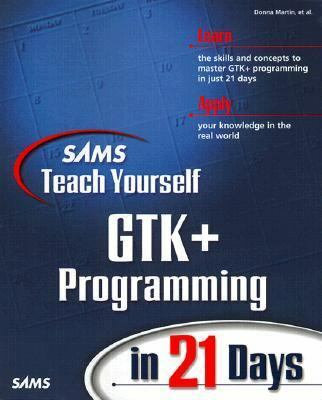 This text provides a step-by-step tutorial on GTK+ programming. An accompanying website includes the GTK libraries. What Are GDK and GLib? What Kind of Widgets Are Available in GTK+? Why Should You Use GTK+? What Really Happens when a Button Is Clicked? What About Text Input and Editing?